Another winning old school round, brought into the modern era by a sophisticated operation called Prvi Partizan who has a knack for making modern day military and law enforcement specific loads with top quality components and excellent reliability. 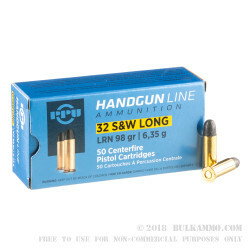 The same factory mil-spec standards as the original ammunition, but made with realistic modern day components that offer a nice value add component to the variables. Prvi Partizan is a Serbian company that’s been doing this same schtick for 90 years and they have just about nailed it on every portfolio product they offer. It’s a pretty incredible niche for them too, as they are netting more than 65million Euro’s a year doing it. 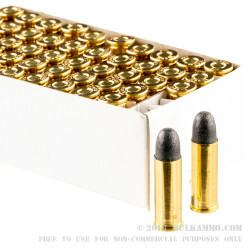 The Serbian company now enjoys quite a nice reputation in the United States as well, because of their relentless pursuit of top tier production practices and selling ammunition that performs very well at a price point that is justifiable across the board. 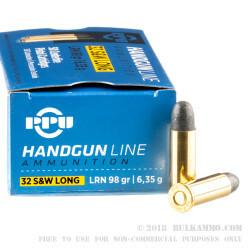 The .32 S&W Long, is not available in as many production firearms as it once was, but the load is so pleasant to shoot and the price just makes sense for the enjoyment that comes along with shooting cartridges like these. 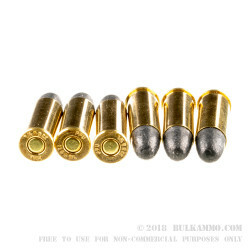 Absolutely no problems using this with my Ruger SP 101 revolver.